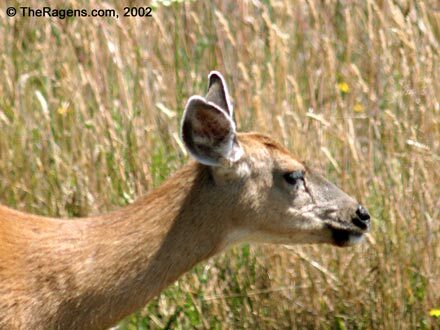 Deer Photo From TheRagens.com, July 2003. Photograph Notes: Talk about tame! While eating lunch at a picnic table right next to our house, this short-sighted deer casually approached us to within 10-15 feet from us and then walked by with no haste whatsoever. Very graceful deer.